Back when I had time to go to the gym, I loved doing free weights because they made me feel jacked (though I never was). Picking up a 15 lb barbell and lying on the benches among the dudes was cool at the time. Thank God I don't have to do that anymore. I got calluses all over my hands that rubbed red every time I made it to the gym. Although I liked the definition in my shoulders and rubbing elbows with jacked dudes, it was so nice to change to a home gym workout with weights. I love kettlebells and small free weights, but they don't do much for my legs. I started looking into weight sets and Bowflex machines as a good leg workout alternative. The weight sets weren't very helpful to me. I like the bar with weighted discs, but I also really like the rail that it slides on at the gym. Trying a weighted bar at home with two children that can pop into a room at any time seems like a recipe for disaster. The safer course seemed to be a Bowflex if only because they have a minimal amount of heavy things that can fall on my children who tend to play around my equipment when I'm not looking. 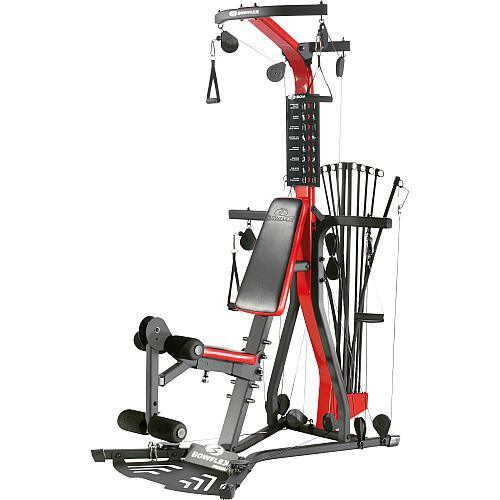 Bowflex Home Gyms have resistance rods that you use as weights instead of actual weighted discs. The rods are not quite as intriguing (plus they are higher off of the floor). Some might complained that the rods are not "real weight." A 50 lb rod may not be a 50 lb actual weight. For me, the weight itself doesn't matter as much as the training. I'm not going to be bragging to my girlfriends about benching 60 lbs. A Bowflex seemed like a good choice, so I did my research focusing on the 2SE Home Gym. One reason I looked at this home gym was that it offered 70+ different exercises. While the focus does seem to be on the arms (24 exercises), there are also ten leg exercises, 16 back exercises, and three abdominal exercises. The lateral pulldown bar was one of the things that I missed most about the gym, so it was nice that this model had it for my home. Although I've always pushed myself to bench exercises, I feel so much safer on the Bowflex machines. The orientation is so much less terrifying. Every time I did bench presses at the gym, I had nightmares about the bar smashing into my face. With a Bowflex, I get to sit in a normal sitting position. It works the same muscles, but it uses resistance instead of gravity. Great for a home gym. If you can't visualize what I mean about how the Bowflex bench presses work, check out this video. This guy demonstrates how to do different exercises on the Bowflex XTreme SE that mimic bench workout. 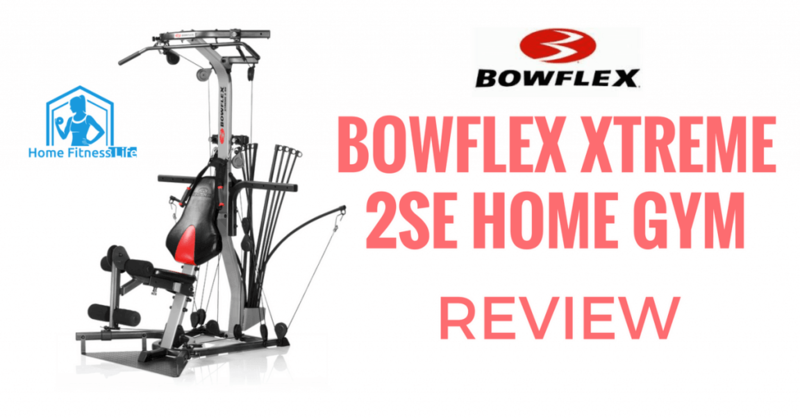 ​If you want an entire gym's worth of workouts available in your home, the Bowflex XTreme 2SE does not disappoint. It is possible to workout pretty much every muscle using this machine. I particularly love to sculpt my shoulder and back (just a little). There are 30 exercises for those body sections alone. How long will it take me to do 30 exercises? I dunno, but I know I can't do that many in the 30 minutes that I sneak in between my kid's naptime. I would be entertained by the variety of exercises for a long time. I'm also excited to have the variety with less of a fear factor than gyms that have weighted discs. I used to dream about being crushed by the bar while doing bench presses. Now I have nightmares about one of my kids getting conked in the head by a dropped a weighted disc. No thank you. I will take the the resistance rods, especially since my son won't even be able to reach the rods for a few years. 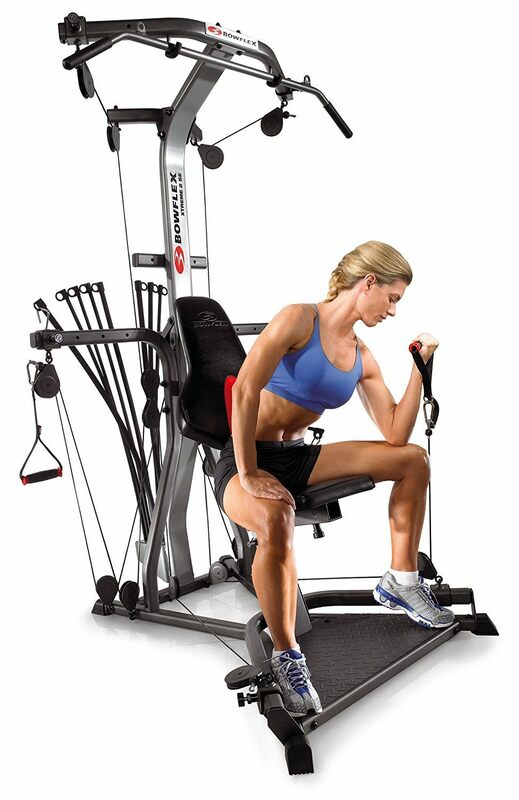 It's fairly obvious that I'm drooling over the design and features of the Bowflex Xtreme 2SE. The power resistance rods are a great alternative to terrifying bench presses. It's also pretty innovative how the designers have packed so many exercises into one machine. I enjoy variety and Bowflex provides it to me. However, all this innovation does come at a cost. The 2SE is unfortunately very expensive to both buy and maintain. I often review products that under $1000 because they are in my typical budget range. It's a splurge. It doesn't get much cheaper over time either for a home gym. While the warranty covers a large portion of the machine, the resistance rods are not covered. People who use the machine a lot have to replace the rods on a yearly basis. They are about $100, which isn't bad, but it adds up over time. Looking at the 2SE, I am intrigued by the features and repelled by the price, but the ultimate decision come down to space. Do I have enough to accommodate this behemoth machine in my home? The XTreme 2SE is a vertical machine, which means that it's smaller than other models, but it's still freaking huge. A Bowflex is likely to be the largest piece of home gym equipment that I will ever buy. At $200 more than the Blaze, I was expecting the PR3000 to have a whole of exercises. It has a modest 50+ exercises, but there is no cardio rowing addition. I'm actually still struggling to see how it is better than the Blaze at all. The Power Rod warranty is 7 years instead of 5 years, but that doesn't seem to account for an additional $200 in my mind. It's still a great piece of equipment, but I don't see why it costs more than the comparable Blaze model. For another $300, you can just get the Xtreme 2SE with more than 70 exercises. It's the one Bowflex to rule them all. While the price is impressive, I'm not super impressed with the features. It's limited to 220 lbs of patented "Spiralflex" Resistance. I'm not sure what technology goes into this, but I do see that it has the old school weighted discs for some of the exercises. Does it still seem futuristic now? It may still be worth it, even if the warranty rocks. The Revolution warranty is for 10 years and doesn't seem to avoid covering resistance rods like the others. Should You Buy the 2SE Home Gym? If you want to pack a massive amount of safe weighted workouts into your home, a Bowflex is an awesome choice. However, picking the right one depends on your budget and preferences. 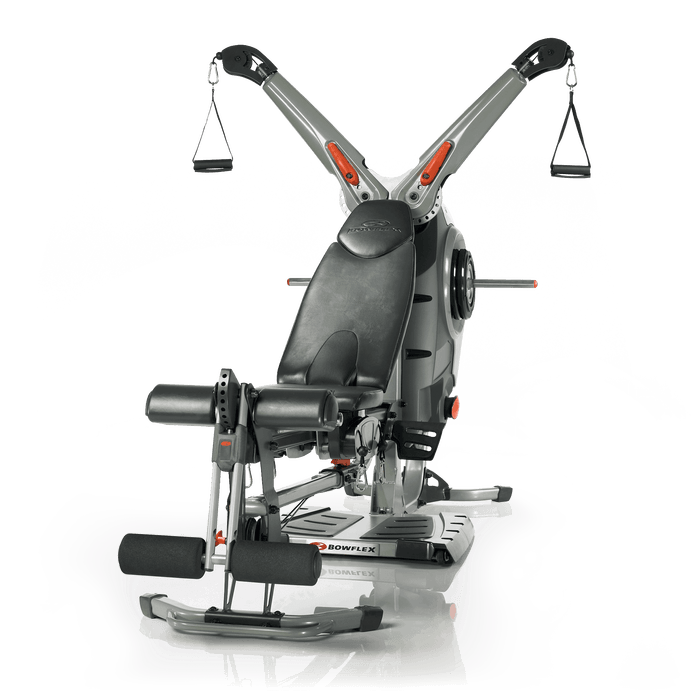 If you really like cardio rowing, the XTreme 2SE is not the gym for you. But if you want to mimic bench press exercises, it may be an excellent choice. 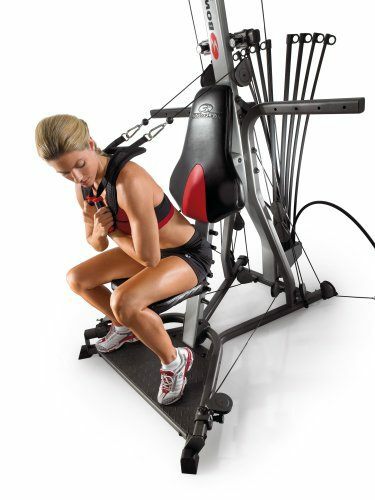 Click here to see more strength training equipment from Home Fitness Life.